As the name says, a diesel fuel injector literally injects fuel into the cylinder as part of the combustion process. In modern engines, the camshaft and ECU control the injectors, optimizing injection timing and engine function. The injectors mix air in with the fuel, releasing it into the combustion chamber as a high pressure spray. 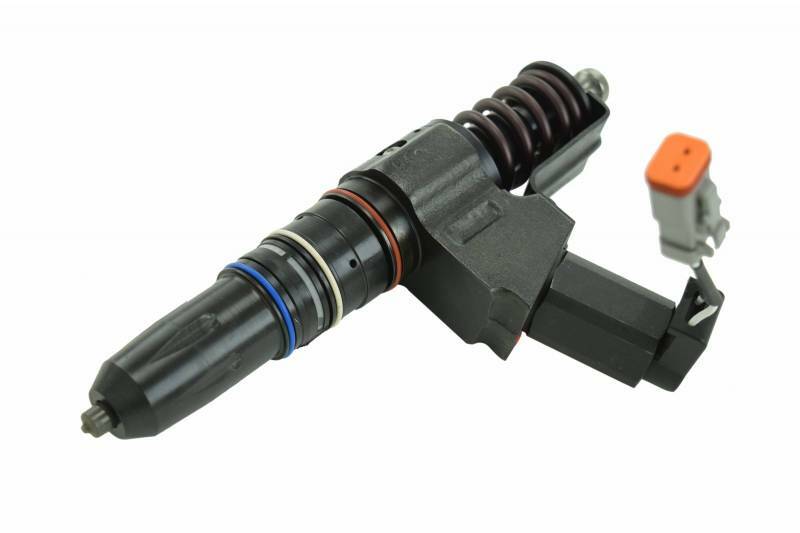 It’s a complicated part of your engine, made of many smaller components, but if you want your engine to run, it's vital that you maintain the health of your injectors. Whatever the cause of your injector failure, you want to have the issues properly diagnosed in order to address it effectively. Some other engine damage causes the failure, but you just replace the injectors, the failure is likely to happen again. And you just threw away your money. You may find yourself wondering if you need to replace all your injectors if just one fails. There is no simple answer to that question. It depends on the type of failure you experience, if you have your injectors on the same replacement schedule, and what you're willing to spend on the overall work. You might want to replace all your injectors at once because if one fails, it's likely that the others aren't far behind. The is especially true if the injector fails due to age or wear. This will save you from having to tear into your engine each time an injector fails, as well as preventing the headaches that can come along with multiple failures. It's also possible that multiple injectors may fail at the same time, making it easier to just swap them all out at once. It can be more cost effective in the long run to replace them all at once. You might have to spend more money up front, but buying injectors in bulk is often cheaper, and if you choose to have mechanic do the work on your engine, you're only paying for the work once. On the other hand, if you're short on cash and need to get back on the road quickly, it might be more efficient for you to replace just one. If you know the cause of failure and have determined that it's from an isolated incident unlikely to affect your other injectors, it's probably fine to replace the only the one causing you problems. Your mechanic: Obviously, you can have your mechanic diagnose the problem for you, if you're not familiar with injectors, or don’t feel confident in your ability to accurately diagnose the problem. Listening to the injectors: Do not put your head that close to your engine. It could result in injury. Instead, use a long screwdriver and put it on the fuel injector. If it is operating, you should hear a clicking sound. Do this for all the injectors, keeping safety procedures in mind. Use a test light: Connect a test light and use it to test the wires of each injector for voltage. If they are operating correctly, the test light should be lit. Again, since the engine will be running or turning over (depending on the degree of failure you're experiencing) be sure to keep all loose clothing and anything else that might be caught in the engine away from moving components. Use a multimeter: You can use a multimeter in a similar way to test if the injectors are receiving power. Temperature: With the help of an infrared thermomenter, check the temperatures of the exhaust manifolds of each injector. The ones that are functioning correctly will have higher temperatures than those experiencing some kind of failure. Visual inspection: Check for signs of leaking or broken seals. If fuel is pooling in the cylinder, it's likely that you've found the culprit. If you find yourself in need of new injectors, HHP can help! We offer a wide selection of diesel fuel injectors and other fuel system components. If you need any help finding the right injector for your engine, give us a call! Our certified techs can be reached at 844-215-3406. You can also always request a quote online.